A look at how you can complete the Wanted: Pandrok, Pillar of Nothing bounty in Destiny 2: Forsaken. In Destiny 2: Forsaken, players have been wondering where to find Wanted: Pandrok, Pillar of Nothing. To unlock this weekly Wanted Bounty, you’ll first need to pay a visit to the Spider over at the Tangled Shore. There, you’ll be able to purchase the Wanted: Pandrok, Pillar of Nothing bounty using Ghost Fragments. 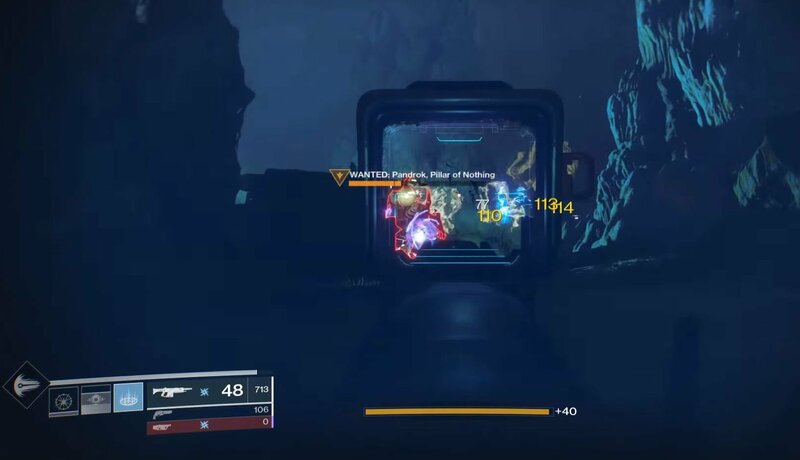 With the Wanted: Pandrok, Pillar of Nothing bounty in Destiny 2: Forsaken, you’ll need to head over to IO and track down a Lost Sector called the “Sanctum of Bones” in order to begin clearing out enemies. To make the process easier, we’ve put together a quick guide on where to find Wanted: Pandrok, Pillar of Nothing in Destiny 2: Forsaken! Pandrok, Pillar of Nothing can be found in the Sanctum of Bones Lost Sector on IO in Destiny 2: Forsaken. In Destiny 2: Forsaken, players have the ability to purchase Wanted Bounties from the Spider, including Wanted: Pandrok, Pillar of Nothing. If you have a few extra Ghost Fragments on hand, you can visit the Spider at the Tangled Shore and purchase the Wanted: Pandrok, Pillar of Nothing bounty. With the bounty unlocked, you’ll need to work on completing it. By completing this Weekly Bounty, you’ll be able to earn various Legendary rewards. The lore text for Wanted: Pandrok, Pillar of Nothing reads: “Begin your hunt in the Sanctum of Bones on IO.” As you can probably infer, you’ll need to head to IO in order to complete the Wanted: Pandrok, Pillar of Nothing bounty. To do this, start by heading to The Rupture, then search the area for the aforementioned Sanctum of Bones. 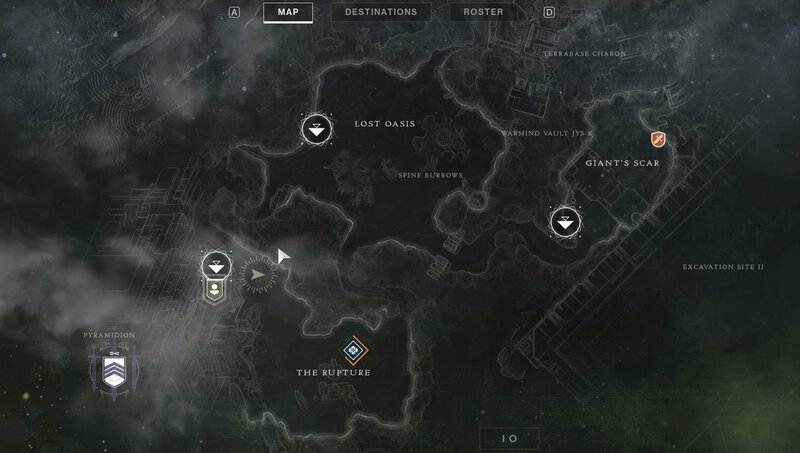 On IO, the Sanctum of Bones is one of the various Lost Sectors. By heading inside the Sanctum of Bones, you’ll be able to find your target, Wanted: Pandrok, Pillar of Nothing. Before you can take him down, you’ll want to clear out all of the enemies inside. Take down Wanted: Pandrok, Pillar of Nothing before returning to claim your Legendary rewards from the Spider in Destiny 2: Forsaken. As you kill enemies, follow the main path forward until you reach a room at the very back. Inside this room, you’ll be able to encounter Wanted: Pandrok, Pillar of Nothing. You’ll know this is your target as his name displays a clear “WANTED” title. After defeating Wanted: Pandrok, Pillar of Nothing, return to the Spider and turn in your Weekly Bounty to acquire your Legendary rewards. For a visual guide, watch the helpful video embedded down below courtesy of YouTuber, Massive Trigger Gaming. For more on Destiny 2: Forsaken, be sure to check out some of our previous guides including where to find Wanted: Varghul, Fragment of Oryx in Destiny 2: Forsaken, how to get the Ace of Spades in Destiny 2: Forsaken, and where to find Toland in Destiny 2: Forsaken. By reading through this guide, you should now know where to find Wanted: Pandrok, Pillar of Nothing in Destiny 2: Forsaken.